The great Victoria Falls is one of the Seven Natural Wonders of the World and a place where wilderness, adventure and culture unite around this stunning spectacle. 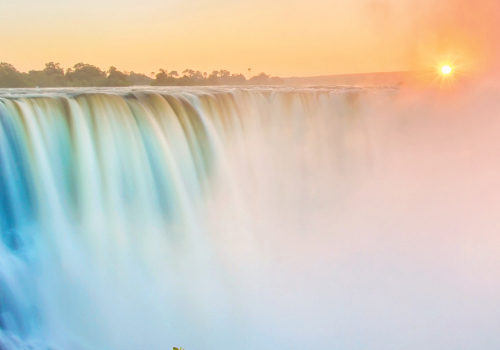 Incredible natural beauty, and remarkable wildlife viewing combine to thrill and amaze visitors to this UNESCO World Heritage Site, where the Zambezi River drops more than 100m into the Batoka Gorge to form the Victoria Falls. At 1.7km wide, it is the largest waterfall in the world and is often referred to as “Mosi-oa-Tunya” or the Smoke that Thunders. Chobe National Park, also known as the ‘Land of the Giants,’ is home to the largest population of elephants in the world. 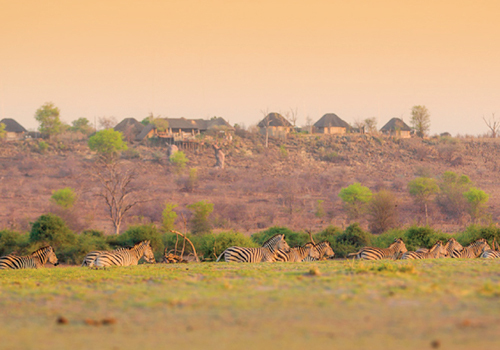 It provides excellent game viewing and birding opportunities, with more than 75 mammal species and 450 bird types. There is no shortage of activities and outings when visiting the Victoria Falls. Learn more about some of the activities and adventures you can enjoy, the bars and restaurants you can visit and the amazing wildlife on offer.